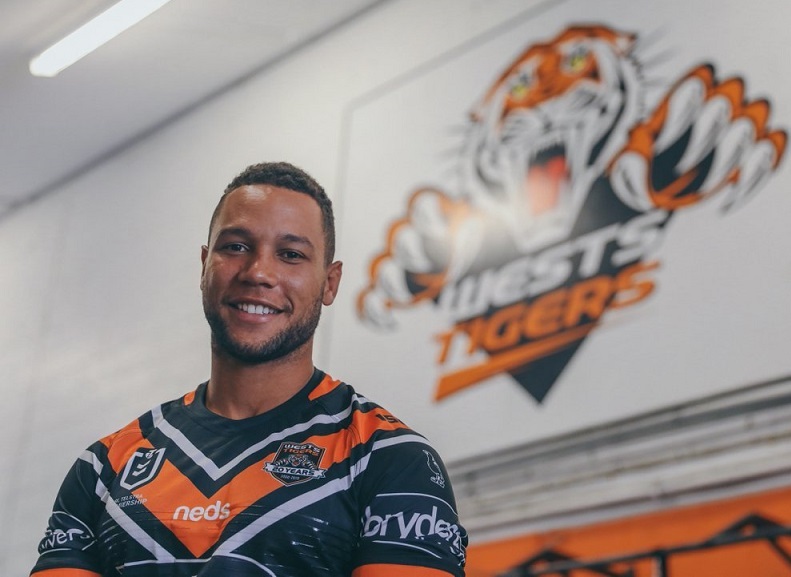 He’s only been at the club for half a season but now Moses Mbye has been made Wests Tigers captain for the 2019 NRL season. Mbye, 25, joined the club midway through the 2018 season and was one of the few positives of another disappointing season without finals footy. Having played 103 first grade games since making his NRL debut for the Canterbury-Bankstown Bulldogs in 2014, he’s signed at Wests until the end of the 2022 season. A Noosa Pirates junior, the talented back has also represented the Prime Minister’s XIII (2016) and World All Stars (2017) and featured as part of the Queensland State of Origin camp in 2018. “Being named captain is one of the proudest moments of my career,” Mbye said. “On behalf of everyone at Wests Tigers, I would like to congratulate Moses on being named captain,” Maguire said. “To captain a club with the shared history of Wests Tigers is a tremendous privilege and we are equally confident and proud to have him lead us in 2019.